Charity donations are the lifelines of many non-profit organizations committed to philanthropic causes. Much of the financial assistance given to humanitarian, animal, and environmental causes comes from generous individuals who are able to help monetarily. Many give out of the kindness of their own hearts, but an added bonus is the tax breaks from charitable giving that can be gleaned each year. But if tax breaks are reduced for charitable giving, without the financial assistance from donors, many philanthropic organizations may face problems meeting their respective goals. Congress members trying to reduce national debt have suggested reducing the charitable giving incentive so that tax breaks would be much less financially beneficial for donors. Moral or not, this would discourage many people from contributing. Congress members attempting to reduce national debt have suggested reducing the incentive for charitable giving. While I understand the need for debt reduction, I cannot in good faith lend my approval to this idea. 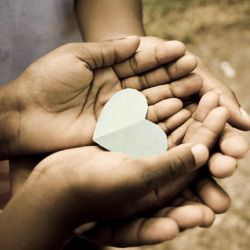 Charities help causes that might not otherwise receive any attention or assistance. And the financial assistance given to those charities by generous benefactors can be their lifelines. Without the incentive, many people may be discouraged to donate. Please do not allow Congress to reduce or remove charitable giving incentives! That's 3,690 signatures! Let's keep the ball rolling.